Christianity is being “silenced” within the UK’s public sector, according to a former top Whitehall civil servant. 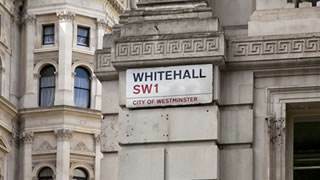 William Nye, who has recently been appointed as the Church of England’s secretary general, said that talking about the Christian faith within civil service culture is becoming increasingly "odd and unusual". "There has been, in the 20 years I was in the public sector, a sort of squeezing out of Christianity from many aspects of the public sector," he said. Mr Nye revealed that, during his time at Whitehall, he observed a general reluctance amongst Christian civil servants to talk about Christ. When asked to suggest candidates from the civil service for a senior post in the Church of England, he found it difficult to recommend anyone. "Personal friends might have revealed to me that they are Christians but other people in government, central government departments, wouldn’t do that. "They wouldn’t let it be known that they were Christians." Mr Nye went on to say that he felt the increasing silence of Christians was not necessarily consciously desired. "Looking back on it I feel there may be an element of [self-censorship] and, I think, just a sense that it’s not really the ‘done thing’ to talk about religion in the 21st century, especially in government." "There is a lot of support, I think, for the Church of England doing its job as the Queen said ‘gently and assuredly’ – for the quiet work of the Church of England. "But quiet work shouldn’t mean silent." Mr Nye said that he considers it a "joy" for him to now work in an environment where he can speak more openly about his faith. "Mr Nye’s comments demonstrate the chilling effect of self-censorship within the government, reflecting the culture of our workplaces across the nation. We are seeing that those who do speak up for Christ can face hostility and even disciplinary action. 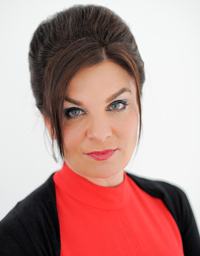 "The case of our Christian Legal Centre client Victoria Wasteney is a strong example – an NHS worker who was suspended for gross misconduct, simply for speaking about her faith to a Muslim colleague! Almost three years later she has still not returned to her former role, for which she is supremely qualified. "But we must not be discouraged by these reports. In the Great Commission, Jesus commanded us to preach the good news of the gospel to all. This will inevitably be offensive to some but it is our calling as believers. "More than ever we need to speak of Christ in the public square, not compartmentalise our faith. Mr Nye is correct to say that the work of the Church of England should not be silent, and neither should the voices of those who profess to believe in the saving work of Jesus Christ."